Den 11 december 2018 träffades A. Abramov, Rysslands handelsrepresentant i Sverige med Patrick Antoni, CEO för Ingka Grupp i Ryssland samt med Igor Kisil, IKEA Rysslands kommunikationschef. Ryssland är den fjärde största världsmarknaden för IKEA. Bolagets totala området för detaljhandel och kontorsutrymme i Ryssland är mer än 2 miljoner kvadratmeter. Utöver byggandet av shopping- och nöjescenter utvecklar Ingka sin egen produktion av möbler och komponenter i Ryssland. Under perioden med IKEAs verksamhet i Ryssland byggdes 14 shopping- och nöjescenter i de flesta största ryska städerna – Moskva, St Petersburg, Jekaterinburg, Nizhny Novgorod, Novosibirsk, Krasnodar, Rostov-Don-Kazan, Omsk, Ufa, Samara. Det totala antalet IKEA-anställda i Ryssland överstiger 12 tusen personer. December 7th, 2018 Minister for housing and communal services of the Moscow region Evgeniy Khromushin, First Deputy Minister for ecology and natural resources of the Moscow region Natalia Egorova and Trade Representative of Russia in Sweden Aleksandr Abramov visited the energy company Borlänge Energi AB in the city Borlänge. Borlänge Energi AB is a regional supplier of energy and services (electricity, heat, water, etc. ), the bulk of which is produced from renewable sources, including garbage recycling. The energy is generated from urban and imported household waste, biomass, pellets and other renewable sources. During the visit, the Russian delegation studied the technology of production and supply with heat and electricity of this Swedish region, examined the economic component of construction and operation of production. The inspection of the company’s capacities for acceptance, storage, separation, shredding and use of household waste as an energy carrier was conducted. On November 15, 2018, the Russian Trade Representation in Sweden hold a reception dedicated to the 100th anniversary of the establishment of trade relations between the Russian Federation and the Kingdom of Sweden. The official reception was attended by the representatives of the Swedish business community, the Swedish Foreign Ministry and other Swedish governmental institutions, as well as representatives of the diplomatic corps. The Ambassador Extraordinary and Plenipotentiary of the Russian Federation to Sweden V.I. Tatarintsev, Trade Representative of the Russian Federation in Sweden A.V. 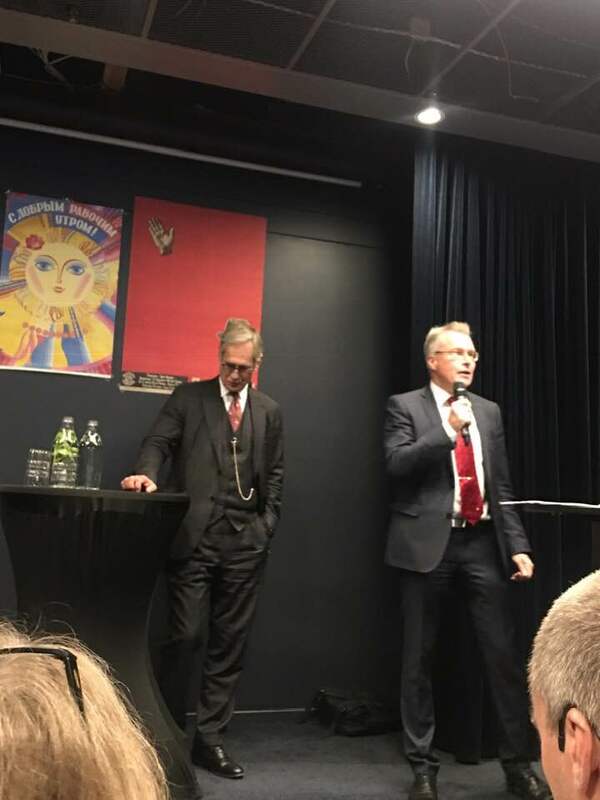 Abramov and the Director General for Trade of the Swedish Ministry of Foreign Affairs Mr. Teppo Tauriainen addressed the audience with the welcoming speeches. Trade and economic relations between Russia and Sweden are staying stable. In 1918, Sweden became the first western country to supply agricultural equipment for the Russian Federation. In the Soviet years, such well-known Swedish companies as De Laval, Tetra Pak, and Volvo established at the Russian market. Today more than 500 companies with Swedish participation are registered in the Russian Federation, most of them manufacturing companies. Well known Swedish companies Atlas Copco, Epiroc, SKF and many others make a significant contribution to the development of the Russian economy. Swedish companies steadily occupy leading positions in comparison with the other investors to Russia by the volume of the direct investments to the Russian economy. IKEA, for example, is the largest private foreign investor in Russia. The investment fund East Capital is the largest institutional investor in the Russian securities. For the Russian Federation, it is of great importance to attract, together with Swedish investments, advanced technologies and innovations, the experience of increasing production efficiency and forming a circular economy.